The Facebook Pages Terms & Conditions for promotions administration were updated on August 27th, 2013. Click here to check the updated version. I can still see some competitions running on Facebook pages in which the voting mechanisms is the like feature. The most common example is photo competitions: “The picture with the highest number of likes will win…”. Well, this is ILLEGAL according to Facebook Pages Terms. This rule exists for a long time now but it seems many Facebook pages managers are not aware of that. If a page get caught by Facebook through reporting or any other way it risks being shut down. Why Is Facebook Doing That? 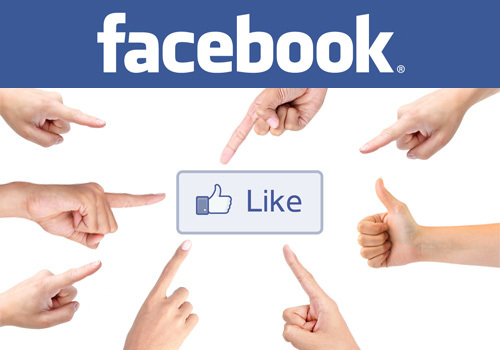 Facebook’s business model is mainly based on advertisement and posts promotion. To reach a large audience you need to invest in ads or pay a fee to promote your posts. By liking any page post you are spreading the word unconsciously because your activity appears on your friends news tracker and you’re doing that for free. To monetize, the social network restricts voting through any feature that would increase content reach for free (Like, Share and Comment). If you are a Facebook Page Manager, you need to make sure you are aware and fully understand the Facebook Pages Terms. If you are a Facebook user and spot a page running a like competition, post this blog post to their wall! I’m trying to find out whether it is legal to require a draw/competition entrant to have/use facebook. Note that facebook’s own rules do not constitute legality as you stated above. I am not sure I understood your first point can you please elaborate/clarify. Illegal means prohibited by law indeed and here we are talking about Facebook laws. Surely you mean Facebook rules not facebook laws. This confusion is why it is so difficult to find this information. Facebook do not make laws. They make rules which apply only to the use of their own services. My question is whether it is legal for company X to run a competition/draw whereby it is compulsory for the entrant to use facebook to enter. An example in other media: A snack company advertises a draw which involves dialling a premium rate number to enter. They are required by English law to allow entrants to apply via mail, which circumvents their revenue from the call but since it is a free draw (ie there is no purchase necessary), so they have to offer alternative means of entry. The reason I ask is I receive emails from companies inviting me to win prize abc, but in order to enter the draw I have to login to Facebook, like them, and fill out a questionnaire. I do not have a Facebook account, nor will I ever have one. It seems unfair to lock me out of a draw because of that. Hence, is it legal for them to require I use Facebook to enter. This is a point of law I am querying. I am not interested in whethe facebook allow it or not. Previous Post Why Does McDonald’s Burgers Look Different In Ads Than In Store? Next Post BIC 4 Colours – What’s Going On Inside?